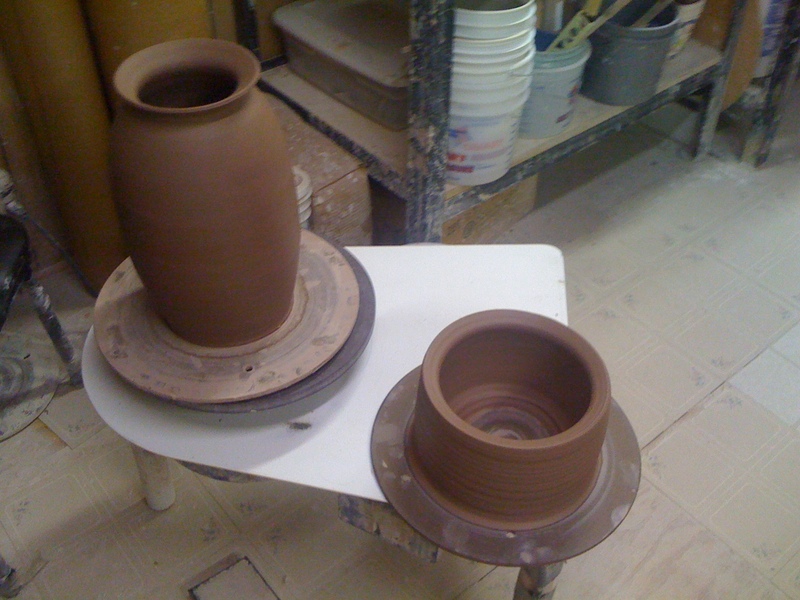 Monday night, I threw my first multi-piece jar. Tonight, I trimmed it. The jar was about 13.25″ tall, and dwarfed the GiffinGrip, at least I didn’t feel comfortable trying to put the weight of the jar on it’s rim. So, I pulled out 8 lbs. 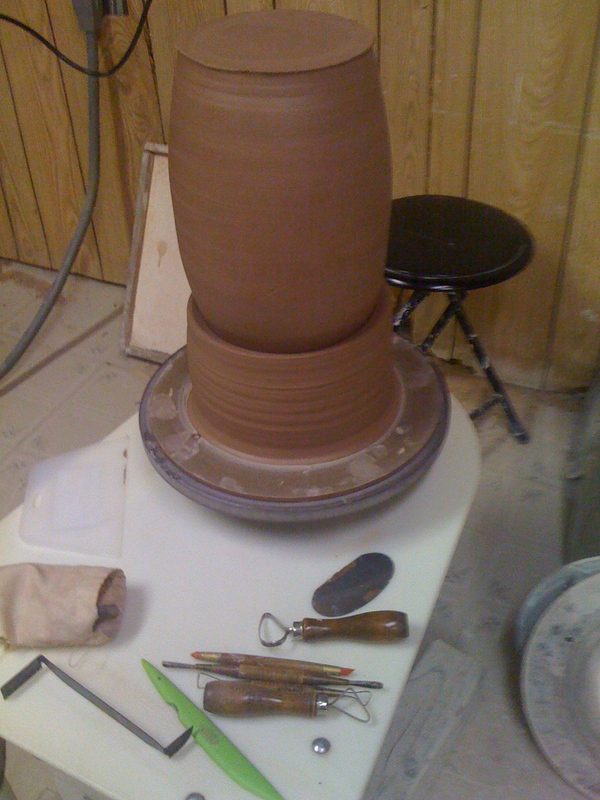 of clay and threw a chuck. 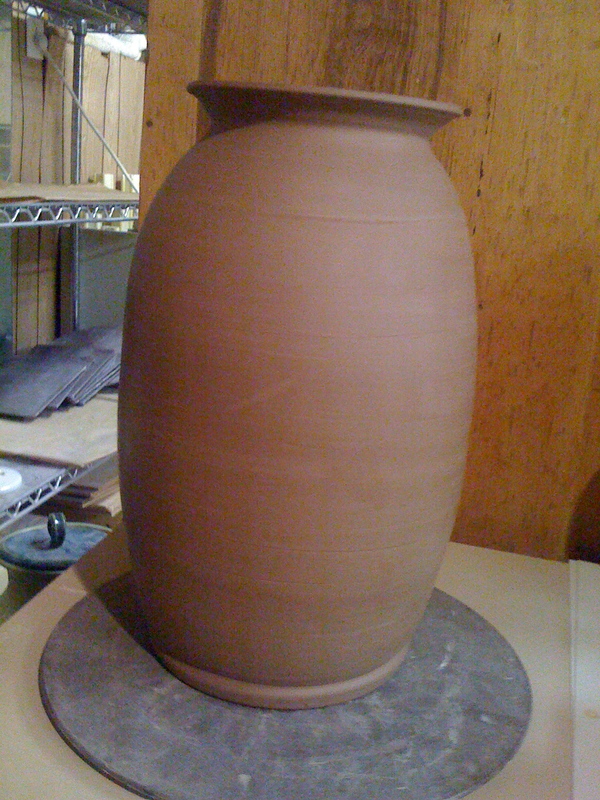 The jar and the chuck both got the hot air gun treatment, and firmed up nicely. The chuck worked great, and hardly left a mark where it held the jar. Definitely a good technique to use on large pieces in the future. Additional photos show the chuck, and the jar in the chuck and the jar before I started.